You can appeal the Social Security Administration’s decision if you applied for benefits and were denied. However, it is very difficult to know exactly when you will receive a decision on your case. The process could take from as little as three months to as long as three years, and the time really depends on which stage you are approved in the appeals process. The appeals process contains various stages from request to reconsideration to filing a lawsuit to a federal court. The SSA can take from 3-6 months to review your initial application and decide on it. You are given 60 days to file an appeal is denied. This is called the Request for Reconsideration. It would be beneficial to obtain the help of a Virginia disability lawyer because they are specialized in the appeals process, can gather all the necessary medical records, obtain your doctor's statement on your condition, and submit all paperwork to the SSA. The SSA will be able to make a better decision on your case given more information. This stage takes 2-3 months, and most claims are denied. After 60 days, the next step will be to request a hearing in front of an Administrative Law Judge. This stage of the appeals process can take the longest, from 14-22 months, due to a high number of cases and a low number of judges to hear them. A judge will hear your testimony and ask questions based on what you tell him. Experts and witnesses can testify for you if needed. Usually, a decision on your case is made after the hearing is completed. A letter will be sent to you with information on the decision made. If your case is denied, your next step is requesting an Appeals Council to review your claim. During this stage, the Appeals Council will review the case by looking at your claim and checking to see if the judge made any errors or not. They do not determine if you are disabled or not. This can take from 12-15 months, and again, a majority of claims are denied and must file a lawsuit in federal court. This is the final stage in the appeals process for Social Security Disability benefits. It is recommended that you receive assistance from an experienced Social Security Disability lawyer due to the complexity of filing a lawsuit. This step reviews if procedures were correctly followed when a ruling was made on your claim and does not determine disability status. Because of the difficulty in winning your case in federal court, assistance will be required by experienced attorneys. 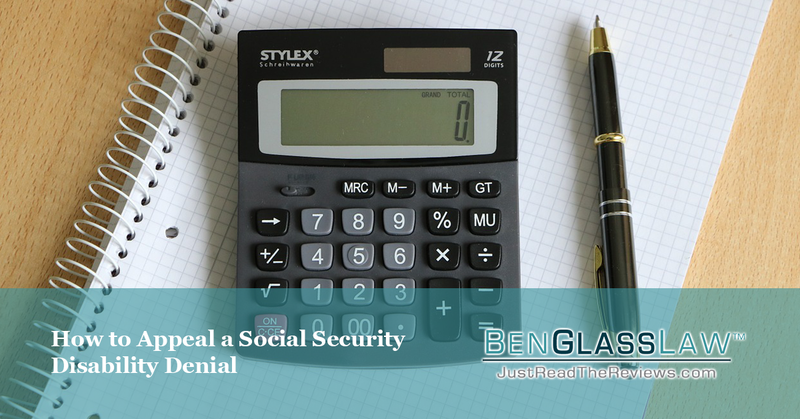 If your claim was denied, call BenGlassLaw at (703) 584-7277 or download our free Law Guide on Virginia Social Security Disability Claims to work with one of our disability attorneys.